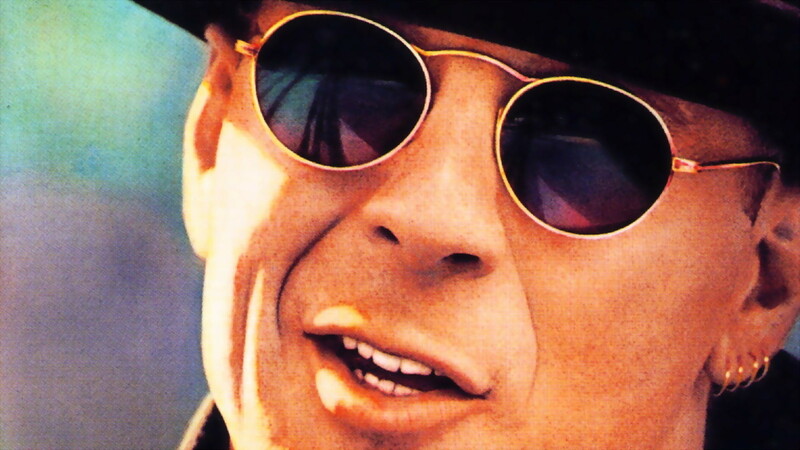 Краткое описание: The player assumes the role of Hudson Hawk, a cat burglar. He is sent on a mission to steal three Da Vinci artifacts. Walking through various levels in this platform game, the player must avoid sounding alarms. In addition, security guards and dogs show up to hamper the mission. 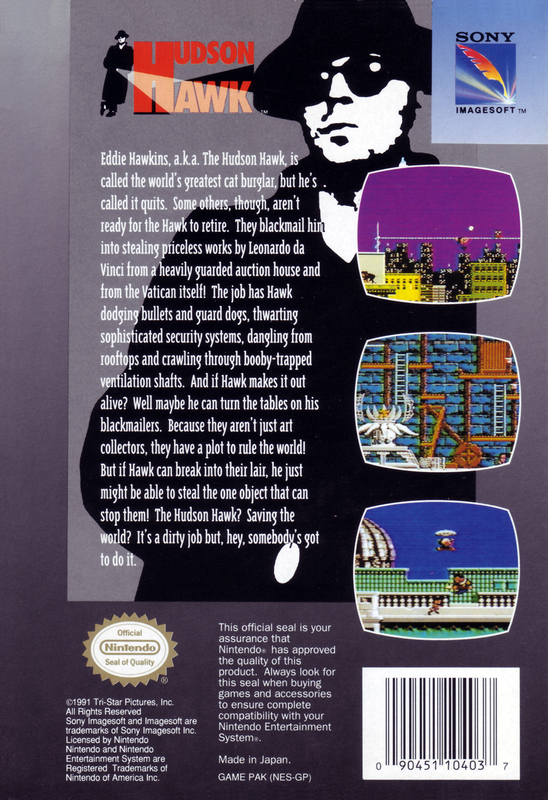 Hudson Hawk can pacify the enemies by punching them or throwing a "ball" at them. 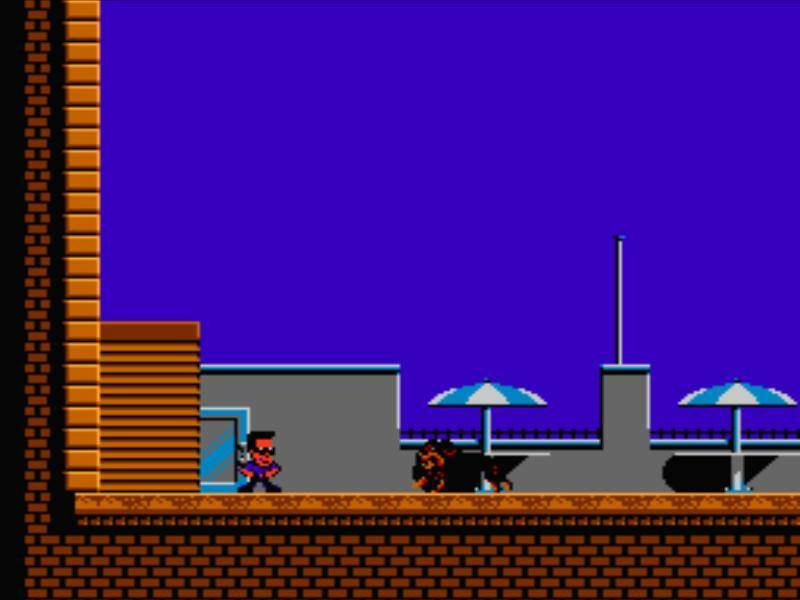 The player assumes the role of Hudson Hawk, a cat burglar. He is sent on a mission to steal three Da Vinci artifacts. Walking through various levels in this platform game, the player must avoid sounding alarms. In addition, security guards and dogs show up to hamper the mission. 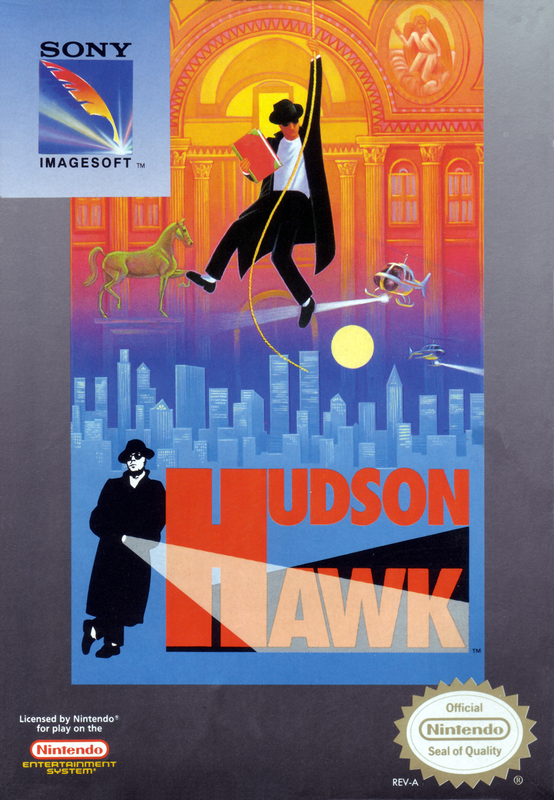 Hudson Hawk can pacify the enemies by punching them or throwing a "ball" at them.